Flower Essences are not something new . They have always been an important part of traditional healing for many civilizations over thousands of years. 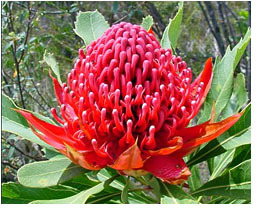 Ian White, Naturopath and Homoeopath is the founder of the Australian Bush Flower Remedies. Following Dr Edward Bach who rediscovered flower essences over fifty years ago, using flowers of English plants and shrubs. Australian plants have a real beauty and strength. A dynamism which comes from having a landscape with the highest number of flowering plants.And whose origins are said to be the oldest in the world. The Bush Essences not only help to give clarity to one's life purpose but also the courage, strength and enthusiasm to follow and pursue one's goals and dreams. They help to develop a higher level of intuition. self esteem, spirituality, creativity and fun.The essences also help to resolve any drama and distress in one's life. 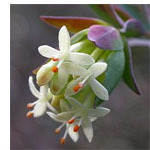 The Bush Flower Repertoire consists of 18 combination essences which are in stock and can be bought through the clinic. And 62 single essences which may be ordered in person / by phone/ via email.